In this essay, we will investigate the topic of Russian interference in the United States’ 2016 Presidential election. 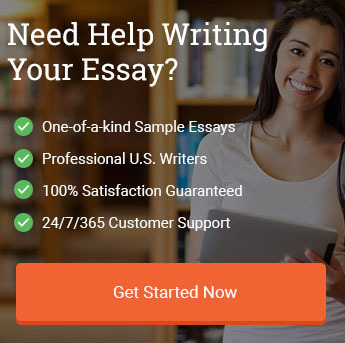 This essay will contain a list of topics related to Russian meddling, possible titles for essays covering those topics, an outline of the essay, and an example demonstrating how to write a strong essay. Our free example essay will not only explain how Russian interference influenced the election, but also show you how to write each part of an essay: introduction, thesis statement, and body paragraphs that combine evidence and analysis. The essay will conclude with a review of the information presented in the essay and suggestions for further action. Should Russian Interference in the 2016 Election Invalidate the Results? What Does Russian Interference in the 2016 Election Mean for the Future of America? The Nixon Watergate Scandal- Mentions of Russian meddling in the 2016 election and possible Trump administration connections to the Russian efforts automatically make people think of Watergate and its fallout. How do the two scenarios compare? If Watergate is different because of the smoking gun evidence that made it clear Nixon was aware of the spying, what type of evidence would make the Russian interference the same? Nixon avoided impeachment by resigning, but Trump does not seem to have a personality that would allow him to resign; what would it mean for the country to have the President impeached in the current political climate? Potential Remedies for Russian Interference in the Election- If Russian interference determined the outcome of the 2016 Presidential election, what remedies exist? Do the remedies depend on whether the Trump campaign was complicit in the interference? If voting machines were altered or tampered with, can individual voters whose votes were impacted by that tampering bring suit to challenge the election results? Can Hillary Clinton bring suit to challenge the election if there is sufficient information to demonstrate that the election was influenced? What type of remedy would exist? Foreign Influence in the U.S. Government- While Russian interference in the 2016 presidential election is the current topic of interest, we know relatively little about what type of foreign groups or governments influence our congressmen. Should candidates for office in the United States be permitted to accept campaign donations from any type of interest group representing foreign countries, or should that be considered a conflict-of-interest? Do Social Media Sites Have a Moral Obligation to Present the Truth- While information about the extent of Russia’s interference in the 2016 election is still developing, one thing that has become clear is that social media sites, particularly Facebook, took money from Russian organizations to plant fake news stories that were negative to Clinton’s campaign. Opinion polls suggest that a number of Trump voters believed those stories. Do social media sites have an obligation to let their users know when news is fake or made up? What about if a “news” article is from a paid source? Does Facebook need to let its users know the source of the news? C. Was the Trump Campaign an Active Participant? The 2016 Presidential Campaign was historic for a number of reasons. First, it featured the first female candidate for President offered by either major political party. It also featured an appeal to populism and isolationism that had not marked American politics in almost a century. The Republican candidate, Donald Trump, had no prior political experience of any type. Hillary Clinton, the projected winner, won a clear majority of the popular vote, but lost the electoral vote by failing to secure wins in states where she was the projected winner. The Trump victory surprised many political pundits and American voters, who immediately began to wonder what role, if any, rumored Russian interference in the election played in Trump’s victory. As of October 21, 2017, those issues remained largely unresolved. Although Russian interference in the election became well-documented, the complete role that the Trump presidential campaign played in that interference remained unclear. Furthermore, how that interference influenced the election had not yet been established at that date. Was the interference limited to attempting to influence American voters through propaganda campaigns and spying, or had Russian managed to actually hack American voting machines and deprive American citizens of their right to vote? This leaves many Americans wondering: is Trump really the President? There is enough evidence of Russian interference in the 2016 election to give grounds to invalidate the election results and call for a special election between the two major candidates. While it remained a background story that received little coverage in the days leading up to the election, it was no secret to the United States that Russia was attempting to influence the 2016 Presidential election. Even before Mueller’s investigation into the Russian interference in the election, all U.S. intelligence agencies had concluded that Russia interfered in the election in several significant ways, all with the goal of harming Hillary Clinton’s chances and promoting Donald Trump as President. First, Russia hacked the computer systems for the national-level Republican and Democratic parties. However, they did not release information from the Republican sights. Instead, they arranged to have information from the Democratic organizations released at damaging times. “Intelligence agencies have concluded that the Russians gave the Democrats’ documents to WikiLeaks” (Sanger and Shane 2016). Therefore, even before the 2016 election, the U.S. intelligence community was very aware that Russia was trying to influence the election and help secure a victory for Donald Trump. However, since the election, there is an increasing amount of evidence that Russian interference in the election was more significant than initially believed. The first type of interference was Russia’s meddling in American media, particularly in social media. There is a growing body of evidence showing that Russian trolls played a significant role in social media prior to the election. These trolls helped drive the nature and tone of political debates, which not only helped vilify Clinton, but also diminished some of the negative stories that surrounded Trump at the time of the election. In addition, Russia was the source of many of the patently false stories that were circulating prior to the election. Russian outlets have been found to be responsible for stories that had no basis in fact, but were treated like news, and which helped bolster the Trump Campaign’s characterizations of Clinton as crooked. These stories helped create a narrative, but did not differ substantially in tone from prior propaganda campaigns by foreign governments hoping to influence an election in another country. What made them different from prior efforts is the scope of their reach; social media provided an opportunity to target a much larger audience that traditional propaganda campaigns could reach. More troubling than Russian propaganda is the fact that there is evidence that Russia may have managed to breach some U.S. voting systems. According to a document leaked by a National Security Agency employee, Russian military intelligence executed a cyberattack on at least one U.S. voting software supplier (Bump 2017). This allegation is especially important given that election day results in several key districts throughout the United States had results that were substantially different from poll results in the days prior to the election and from exit poll results the day of the election. If these voting systems were compromised, then Russia did not just manage to exert influence on the 2016 election, but actually managed to deprive American citizens of their votes in the election. Looking at the number of votes for each candidate, and the fact that Clinton won the popular vote by close to 3,000,000 votes, it can be difficult to see how Russian interference could have influenced the election. After all, even if Russia’s had a successful three-pronged approach to influencing the outcome of the election, the majority of Americans still expressed a clear preference for Clinton. In addition, third-party voters mean that Trump received substantially less than half of all votes cast for President. In many electoral systems, this would mean that Russian attempts to influence the election had clearly failed. However, the United States is not a pure democracy, but a representative democracy. Therefore, the Presidential election is not one-vote per person. Instead, votes have different weight, and, depending on where in the United States a person lives and how that state apportions its votes in the electoral college, Americans may actually not have a meaningful vote in the Presidential election. That is why one candidate can win the popular vote, but still fail to become President. The Electoral College consists of 538 electors. Each state gets a number of electors equal to its total number of congressional representatives (National Archives and Records Administration). Therefore, every state gets two electors for its Senators and then the same number of electors as members of the House of Representatives. The idea is to provide balance to smaller states, who might not otherwise have a voice in an election. In addition, the District of Columbia has three electoral votes. Many states have a winner-take-all electoral system; the winner of the election in that state gets all of the state’s electoral votes. Other states apportion their votes according to the percentages that the candidates received in the state. The problem with the Electoral College is that it results in voters in some states having much more influence on an election than voters in other states. Generally, voters in sparsely populated states have greater individual influence on an election than voters in highly populated states. This had influenced two Presidential elections and tends to favor the Republican Party for two reasons. First, California, the most highly populated state and one that traditionally votes Democrat, is underrepresented in the House of Representatives, and, therefore in the Electoral College. Second, many of the middle-American sparsely populated states are Republican. Furthermore, the Electoral College systems means that, in order to steal an election, an outside force, like Russia, does not have to exert enough influence to impact the majority of American voters. Instead, all it has to do is concentrate effort in areas where the predicted votes will be close and swing those votes for its preferred candidate. Literally changing only a few hundred votes could and did impact an entire election. Had this influence merely been due to propaganda, it would be an unfortunate result, but would not invalidate the election. In fact, the very same free speech laws that form the cornerstone of the American system of political rights would argue against invalidating an election because of speech, no matter how egregious that speech. After all, just because Russia was spreading propaganda does not mean that it was forcing Americans to believe it. However, Russia hacking voting systems means that it did more than influence an election; it kept some Americans’ votes from being counted, which makes the results of the election invalid. Was the Trump Campaign an Active Participant? It is important to keep in mind that Russia interfering in the election, even if it did so in order to support Trump’s candidacy, does not necessarily implicate Trump or his administration. Russia could have engaged in these actions to support its own objectives and without any participation by the Trump Administration. However, if the Trump campaign colluded with a foreign power to help influence the election, some of its members may have engaged in behavior that falls under the heading of treason. The Trump Administration has been quick to couch the investigation into Russian interference in the campaign as some type of witch hunt. However, it is critical to realize that the investigation began long before a Trump victory. “About a month before the U.S. election, the Office of the Director of National Intelligence and the Department of Homeland Security issued an unusual public statement” indicating that it was confident that the Russian intelligence community had compromised U.S. political organizations (Bump 2016). This statement, made prior to the election, reveals that U.S. concerns about the election’s integrity began prior to Trump being elected President. What is clear is that the Trump Administration and the Trump Campaign had substantial ties to Russia, and that they took steps to try to keep some of those connections secret. Three officials in the Trump Administration, Jeff Sessions, Rex Tillerson, and Michael Flynn, had ties to Russia. Sessions met with the Russian ambassador to the U.S. twice during the campaign. Flynn took money from a Russian propaganda network and was dishonest about his meetings with a Russian ambassador. Trump’s business organization receives a huge portion of its loans from Russia’s private bank. Trump’s son-in-law, David Kushner, met with the Russian ambassador, and also took steps to hide that information (Crowley 2017). However, while none of those associations look good for the Trump campaign, they are also not enough, on their own and without independent evidence, to show that the Trump campaign was colluding with Russia. In fact, the one piece of public evidence that does show any type of collusion may reveal Trump’s Administration to be shady, but is not enough to support criminal charges. Emails by Donald Trump, Jr., support the fact that the Trump campaign did not decline Russian offers to give them damning information about Clinton that may have been illegally obtained through cyberattacks. While this may call his character into question, it is not enough to support a claim of collusion by the Trump campaign; to support a collusion charge, the Trump campaign would have to have been somehow able to control or direct Russian efforts to influence the election. Theoretically, this might be demonstrated by the contents of communications between Trump campaign director Paul Manafort and Russia. Many people erroneously believe that invalidating the results of the 2016 election because of growing evidence of Russian interference in the election can only occur if there is evidence that the Trump campaign worked with Russia. While Trump Administration and campaign officials would certainly be at-risk of prosecution if an investigation does prove collusion, the Trump Administration does not have to have been an active participant in Russian interference to call campaign results into question. Instead, all that needs to occur to make the campaign results suspect is to demonstrate that Russia’s efforts led to American citizens being denied their vote in the election. Current evidence suggests this is the case, which calls the results of the 2016 election into question. However, given that no similar situation has ever occurred in United States history, the nature of the appropriate remedy remains uncertain. Bump, Philip. “Here’s the Public Evidence that Supports the Idea that Russia Interfered in the 2016 Election.” The Washington Post, 6 July 2017. https://www.washingtonpost.com/news/politics/wp/2017/07/06/heres-the-public-evidence-that-supports-the-idea-that-russia-interfered-in-the-2016-election/?utm_term=.01729c0243af. Accessed 21 October 2017. Crowley, Michael. “All of Trump’s Russia Ties in 7 Charts.” Politico, March/April 2017. http://www.politico.com/magazine/story/2017/03/connections-trump-putin-russia-ties-chart-flynn-page-manafort-sessions-214868. Accessed 21 October 2017. National Archives and Records Administration. “What is the Electoral College?” https://www.archives.gov/federal-register/electoral-college/about.html. Accessed 21 October 2017. Sanger, David and Shane Scott. “Russian Hackers Acted to Aid Trump in Election, U.S. Says.” The New York Times, 9 December 2016. https://www.nytimes.com/2016/12/09/us/obama-russia-election-hack.html?rref=collection%2Fnewseventcollection%2Frussian-election-hacking&action=click&contentCollection=politics&region=rank&module=package&version=highlights&contentPlacement=3&pgtype=collection. Accessed 21 October 2017. After reading this Russian Meddling in the 2016 Presidential Election example, we hope that you have a better understanding of the Russian controversy, as well as better understanding of how to write an analytical essay. Because of the developing nature of this story, it can be difficult to craft an essay on this topic that is comprehensive and complete, without containing any unsubstantiated evidence. If you have questions about how to incorporate developing news into your own Russian election interference essay, or any other current-events type essay, please contact us and we would be happy to assist you. "Russian Meddling in U.S. Election Essay." Aceyourpaper.com. Student Network Resources Inc, 24 October. 2017. Web. 20 April 2019. Student Network Resources Inc. "Russian Meddling in U.S. Election Essay." Aceyourpaper.com. https://www.aceyourpaper.com/essay/russian-meddling-us-election-essay/ (accessed April 20, 2019).